The show hasn't quite been the same since it returned from cancellation, but we'll always have a soft spot for Futurama in our hearts, particularly Bender. Which is why we're completely in love with this custom-made Operation game featuring the lovable robot scamp. 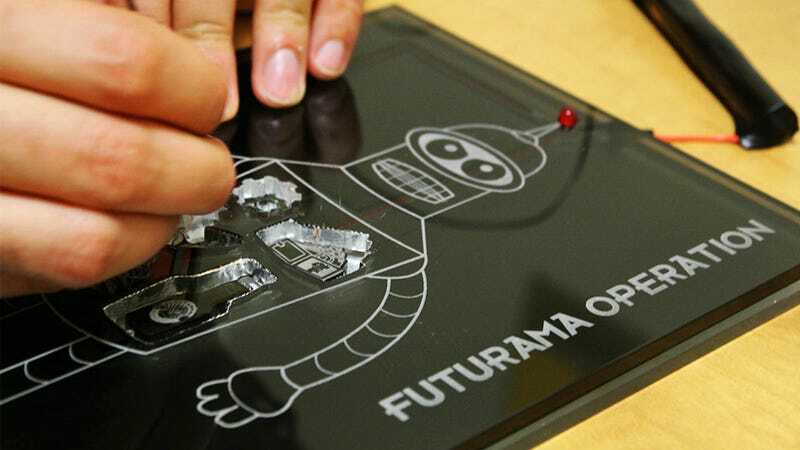 Instructables member lcbo1234 created this beautiful Futurama-themed version of the popular Hasbro game with sleek see-through acrylic that would look right at home in the 30th century. And instead of a broken heart or a funny bone, players have to remove items like a beer bottle, Fry's wallet, and a lit cigar, without touching the edge which sets off the red light on Bender's antenna. If you like the idea the Instructable has everything you'll need to build your own, since we doubt you'll ever seen an official version from Hasbro.